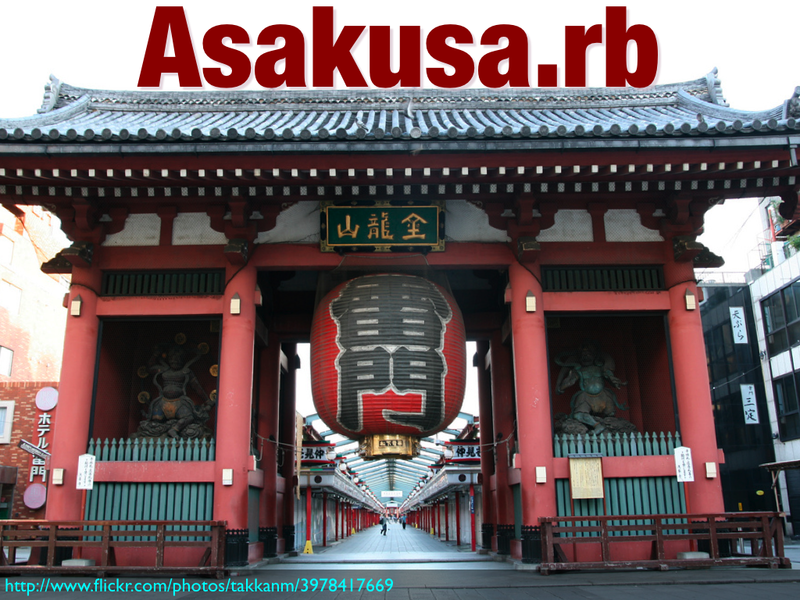 Asakusa.rb is probably the most active regional Rubyist group in Japan. We're having weekly meetup on every '''Ruby Tuesday''' somewhere in Tokyo. To take a contact to us, please tweet with a hashtag `#asakusarb`, or send [@a_matsuda](https://twitter.com/a_matsuda) a message. To take a contact to us, please tweet with a hashtag #asakusarb, or send @a_matsuda@a_matsuda a message. To take a contact to us, please tweet with a hashtag  `#asakusarb`, or send [@a_matsuda](https://twitter.com/a_matsuda) a message. To take a contact to us, please tweet with a hashtag #asakusarb, or send @a_matsuda a message.